The PCI DSS Compliant Welsh Water service was one of the first multi-channel payment solutions created by Eckoh. It gives customers a secure and efficient means of paying their water bill and has led to increased customer satisfaction. Welsh Water have benefited from a reduction in operational costs and repetitive calls to contact centre agents. Of the ten regulated water and sewerage companies in England and Wales, Welsh Water is the sixth largest, serving over three million people in Wales. 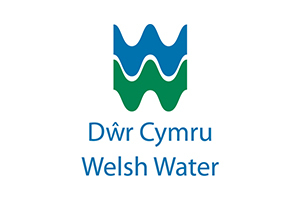 Owned by Glas Cymru, the company is responsible for providing a continuous, high quality supply of drinking water and for taking away, treating and properly disposing of waste water. Welsh Water is fully committed to delivering the best quality services at the least possible cost to their customers. In partnership with BT, Eckoh implemented its EckohPAY solution - a real-time, secure, PCI DSS compliant processing service. It provides callers with the ability to pay their water charges using debit or credit cards on a no-wait, no queue basis without having to speak to a contact centre agent. This service enables contact centre agents to transfer calls back to an Interactive Voice Response (IVR) for customers to make their payments. It also handles payments from collections for those customers who are in debt. In May 2011, EckohPAY's web service was introduced to provide a multi-channel solution. This offered Welsh Water customers an additional way to pay their water bill. BT and Eckoh provided a hosted website, linked from the company's existing site and appropriately branded to ensure continuity. A customer number is validated, the customer details are then entered and they select the amount they wish to pay. The customer can pay the full amount with their credit or debit card details. As EckohPAY is a fully PCI DSS compliant solution, it includes the option to store card details for repeat payments and provide an SMS or email transaction receipt to the customer. In accordance with Welsh Water's requirements, EckohPAY's phone and web services are available in both Welsh and English with the language option being offered at the beginning of the payment process. Welsh Water now offers customers a choice to how they can pay their water bill, quickly and securely. This has led to improved customer satisfaction and reduced operational costs. Contact centre agents are now free to deal with more complex, higher value or urgent enquiries and customers are now benefiting from reduced queue times. The PCI DSS Compliant Welsh Water service was one of the first multichannel payment solutions created by Eckoh. It gives customers a secure and efficient means of paying their water bill and has led to increased customer satisfaction. Welsh Water have benefited from a reduction in operational costs and repetitive calls to contact centre agents.